If you’ve ever explored the self-development world of building “success”, you are bound to have heard of JT Foxx. JT Foxx is a successful entrepreneur, coach and speaker who spends a lot of time travelling the globe inspiring, teaching, and coaching people to build their business to new levels. . He has celebrities such as 50 Cent, John Travolta, Calvin Klein, Al Pacino, Sylvester Stallone, Randi Zuckerberg, Arnold Schwarzenegger, and Steve Wozniak speaking at his events. JT is also a radio personality of the “J.T. Foxx Show” in the US and Canada. And his radio program features celebrity guests as Senator McCain, Rudy Giuliani, Gene Simmons, Rev Jesse Jackson, Trump, George Ross, Kevin O’Leary, Politicians like Speaker Gingrich & Hastert, Governor Pataki and celebrated authors like Robert Kiyosaki, Jack Canfield, David Bach. He does this on the back of an impressive history of building – and continuing to build – his own massive businesses. And learning from some of the top coaches in the business. Google him and you’ll find that people either love him or hate him. 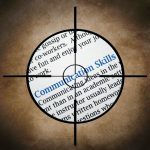 As a professional communication coach, best selling author of Bullseye – Getting the right message to the right audience, and entrepreneur of my own company Halls Global , I was really interested to find out what all the hype was all about. 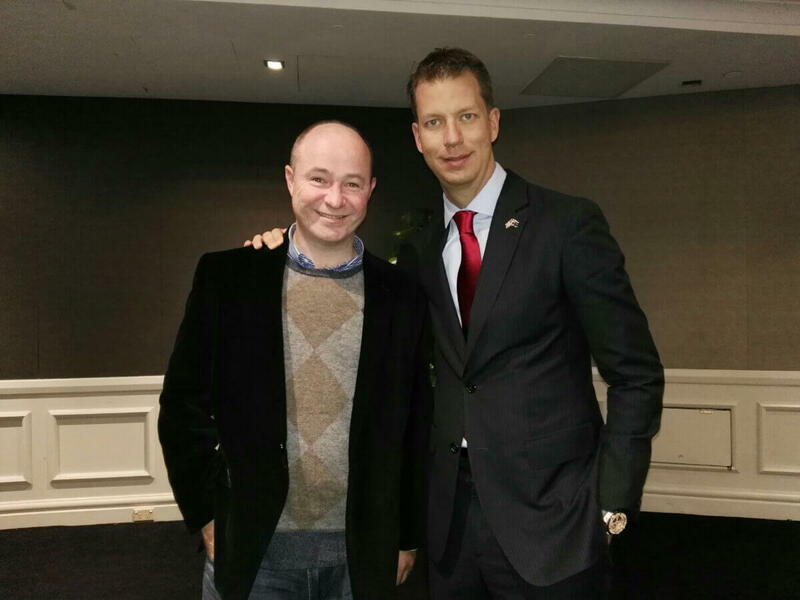 Recently I attended a two day JT Foxx event in Sydney to find out what all the fuss was about. Frankly, I didn’t know what to expect of JT before he came into the room to speak. Should I be expecting a hyped up Anthony Robbins kind of guy? A Jim Rohn – or even a Les Brown? Turned out that he was none of those. He was totally his own person with his unique style. He began talking as soon as he entered the room, pacing from one side of the room to the other. There was very little eye contact with the audience initially, just talking and talking with very little break or pause. We got a steady mix of his philosophy, practical advice and opinions. He said stuff that would offend comfortable-in-their-business people. He also said stuff that would have been hard to take for some people in the room. And he had a go at some of the typical Australianisms he’d encountered but also some Americanisms. One thing that JT lets you know in no unclear terms is that he is “successful” and the best? at what he does. Perhaps he holds to the saying “modesty is a hidden form of conceit”? – in which case JT is NOT conceited. What you see is what you get. Which is totally refreshing. So much so that I spent most of my time writing copious notes because what he had to say wasn’t just interesting, but it made sense. He highlighted a whole range of areas that I already need to be working on in my own business. At first I felt that the training was classic James Joyce “stream of consciousness”. Perhaps that’s his style. Some super successful guy just gets up and rattles off whatever come to mind. And he gets away with it because he can say “I’ve done it and it works”. But then I realised he was following a clear structure – particularly as I looked over my notes. He packages his advice into systems that make sense. It was clear from the way he spoke and asked people questions about their own businesses, that he was systematic in the way he looked at businesses to determined their whether they were working or not. He also spoke in a systematic way on topics like how to build a successful empire (not just business), the ideal sales funnel, 30 things to sharpen your thinking and other things. Each point flowed logically from one point to the next. We also got a taste of his coaching style during the sessions. Believe me, it’s not for the faint hearted. I watched as a “lucky” few people got impromptu coaching on themselves and their business through some simple questions. But those simple questions were tough and really pushed people out of their comfort zone. I think the rest of the room was feeling for them. But for putting themselves on the line, each of these people were lucky to get insights into why their businesses were not as successful as they would like. And how they could make minor tweaks to make them work better. The rest of us observers were “lucky” to learn from these insights live. So if there’s a conclusion from what I saw there was no warm and fuzzy coaching when it comes to JT Foxx. Just direct, practical and constructive feedback. But if you’re trying to improve your business, who doesn’t want direct advice that’s going to make it better? A couple of other things stood out from attending the event. The quality and diversity of the people who attended was impressive. The event was a great networking opportunity. I have already found collaboration, partnership and potential customers from these two days event. JT’s ability to attract a high quality of people is a testament to the great value and insight he offers. As an Australian, I was impressed with JT’s knowledge of Australia and Australians. He didn’t make the obligatory, cheesy comment that most international visitors make about loving seeing koalas at Taronga Park zoo. (Actually, I can’t imagine that would be his kind of thing…) Instead, he made some very perceptive comments about the Australian way of doing business and common mindsets he has encountered. It was also insightful to hear throughout the two days many golden nuggets of information that revealed the way JT thinks about branding and business growth as he shared how he built multiple and very successful businesses. Finally, the so-called elephant in the room. Typically for these kinds of seminars you can expect a lots of selling. You know what it’s like. Fifteen minutes of highly superficial “value content” followed by 45 minutes of selling. “We don’t have enough time to go into that here but you can get the full story by buying our program…” You’ve seen the drill. Well, this business growth event was totally different. Perhaps he really understands Australians? I have to say I respect someone who does more than just superficial audience research. From my perspective, I’m actually hyped from what I learned along with the challenges and reminders I got for what I should be doing in my business. There was a load of information to take in but I’m already excited by the new strategies that I have already started implementing in my business as a result of attending the event. I am now able to deliver even more value to my own clients for them to experience more success in their business. If you are struggling, overwhelmed or hitting a plateau in your business, sign up for a Free Strategy Session today. For more information, go to davehalls.com and hallsglobal.com.